Titanium is a metal of choice for many industries. As a metal, titanium can easily be formed into bars, accommodating your specific requirements with regards to shape and size. The lightweight titanium bars are available in an assortment of Grades, ranging from Grade 1, right up to Grade 12 and are supplied in various strengths, making it easier for you to choose a bar that matches your exact needs and wants. Unlike other metals, the titanium bars are durable and combine high strength with low weight. Any of the titanium bars that we supply at Ti-Tek are designed to be lustrous and resistant to corrosion, providing you with a long-lasting metal. The Grade of titanium indicates the relation between strength and resistance. Here at Ti-Tek, we supply the titanium bars in purest forms (Grades 1-4) as well as alloyed titanium. The lower grades are titanium in its purest form and these tend to be the most durable. The strength of the metal is enhanced when titanium is alloyed with other elements. We highly recommend Grade 1 titanium bars for those who require a less ductile metal. The Grade 1 titanium offers high corrosion resistance which makes it ideal for various industrial applications. Grade 2 and Grade 5 titanium bars are the most popular; these combine ductility with weldability and formability to provide a highly reliable metal. Uses of the Titanium Bars. Titanium bars are especially versatile. Whether it be for the aerospace, medical or chemical industry, there are several uses of the titanium bars that we stock at Ti-Tek. Believe it or not, titanium bars can be used to create luxury pieces of jewellery. The high strength properties of titanium make it perfect for jewellery fasteners, creating a secure clasp or fastener that maintains a lustrous finish. The titanium bars are considered to be reliable for welding applications, especially Grade 12 titanium! High-performance titanium is ideal for applications that require resistance to corrosion and extreme temperatures. 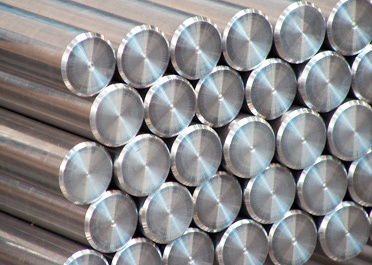 The Grade 12 titanium bars can also be used for shell and tube heat exchangers, offering greater resistance than titanium in its purest form. Here at Ti-Tek, we supply the titanium bars to suit some of the most diverse requirements- including those based in the medical industry. The titanium bars that we supply can be used for dental implants, surgical implants, joint and bone replacements, as well as medical equipment. The durability of the titanium bars makes them so popular amongst the medical industry. We stock titanium alloys to suit the requirements of any aerospace applications. The alloyed titanium bars are made up of only the best properties. Although titanium is alloyed, it can easily be formed into bars and sustains its hard, shiny appearance. Alloyed titanium bars are used as a result of their high strength to weight ratio and can be customised to suit specification. Here at Ti-Tek, we supply the flat titanium bars in a range of lengths but if you cannot find exactly what you’re looking for, we can customise products to suit your individual needs and requirements. Get in touch with us to find out more today! Our stock of titanium bars contains Grade 2, Grade 5 (Ti 6AL/4V and ELi) and Grade 7.